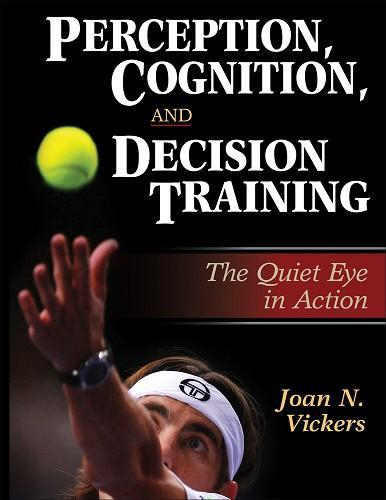 If you coach squash, and have not read and applied the knowledge from Joan Vicker’s (2007) book “Perception, Cognition and Decision Training”, you are missing a great opportunity to improve your squash coaching – and therefore the performance of your squash athletes. 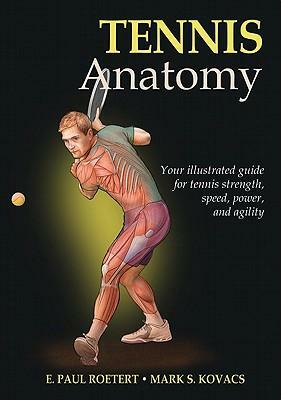 Vickers teaches and conducts research at the University of Calgary, and since I have seen absolutely no reference to her book in any of the racquet sport or recent motor learning literature, I think we can safely assume that her book is only being used by a relatively small sample of Canadian coaches and athletes. 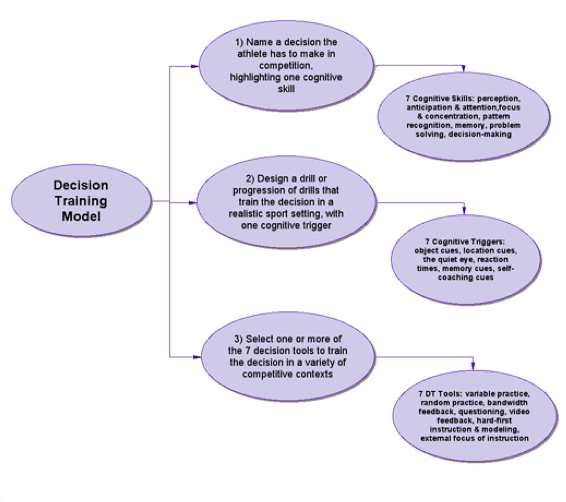 I first encountered Vickers’ Decision Training (DT) concept in an article she wrote for the Canadian Journal for Women in Coaching. I was intrigued because her model of how sport skills and strategies should be taught was highly similar to 3-4 other models that I had already been exploring and using (for 24 years:) in my squash coaching and consulting. As one of the few sport scientists who is a “generalist” and not just a “specialist in one discipline” (and also an active coach 20-30 on-court hours a week in the winter season who actively seeks ways to apply sport science knowledge), I was again struck by the phenomenon of several different researchers arriving at the same conclusion – all of them either unaware of each others’ work or unwilling to acknowledge it. Here are the four sources (along with the current best web reference) of these similar models – I think “Tactics First” is the best term – and honestly I think the act researchers need to get their act in gear and organize their domain if they really want sport coaches to embrace and use their concepts! Method des Actions (“Action Method” being the poor English translation) – originally conceived by the Swiss sport pedagogue Jean Brechbuhl and the official coaching method of Tennis Canada since 1985 (Squash Canada since 1998? ), the best example of current application is AceCoach. 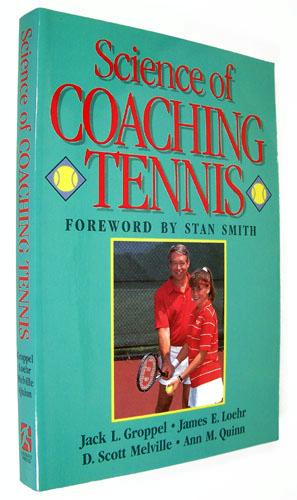 All four of these sources postulate that the initial point for teaching or coaching sport skills is to start with the tactical or game context or situation (i.e., have the athletes start with a conditioned (modified) game or a game with a specific tactical goal (e.g., win as many points with drop shots as possible) before teaching technique. In the graph, the term “behavioural training” means the traditional “technique first” approach to coaching. 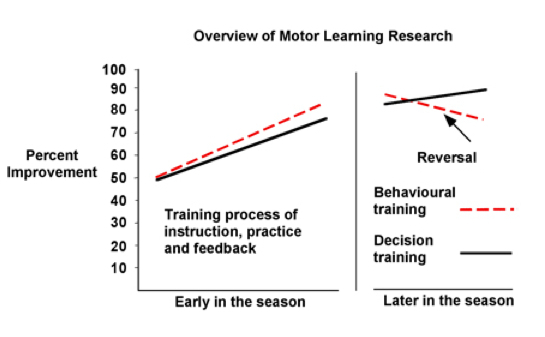 Basically the graph shows that those who learn “technique first” do better in practices and early in the season, and those who learn “tactics first” improve more slowly at the start (obviously the material is more complex) but perform much better later on in the season – when it counts! Ever wonder why your athletes are great at practice but just can’t perform under pressure when it counts? 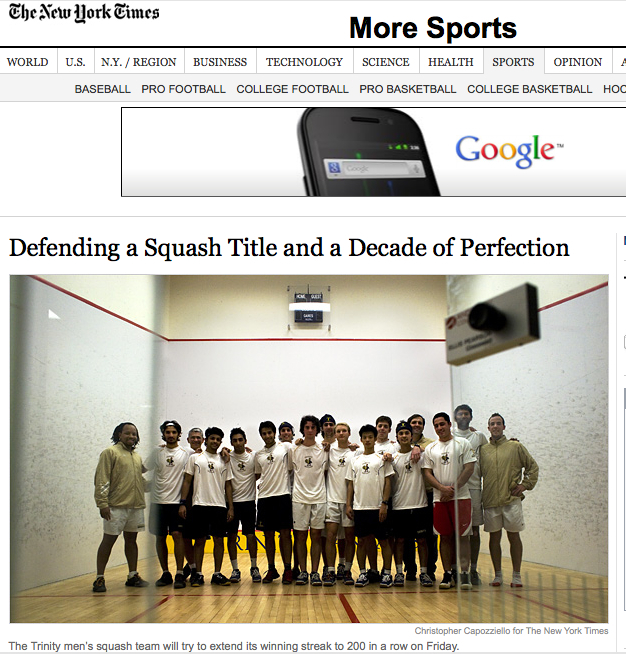 In a series of articles over the next few months I will go over the different parts of the DT model and explain exactly how to apply it to coaching squash, so that your squash players perform at their highest level when they need to. Note that if you are thinking of purchasing the book, it is divided into three parts, with DT covered in the third part (I am not that crazy about the first two parts relate)d to “gaze”). First of all, there is not such a thing as “squash shoulder” although the field of sport medicine does have swimmer’s shoulder, tennis shoulder and pitcher’s shoulder. Most chronic (versus an acute injury like a collision) sport shoulder pain comes from overhead throwing actions which we only do occasionally in squash – although the squash forehand is basically just a side-arm throwing action which does approximate a tennis slice serving action when volleying high balls on the forehand side (or even some serving actions). 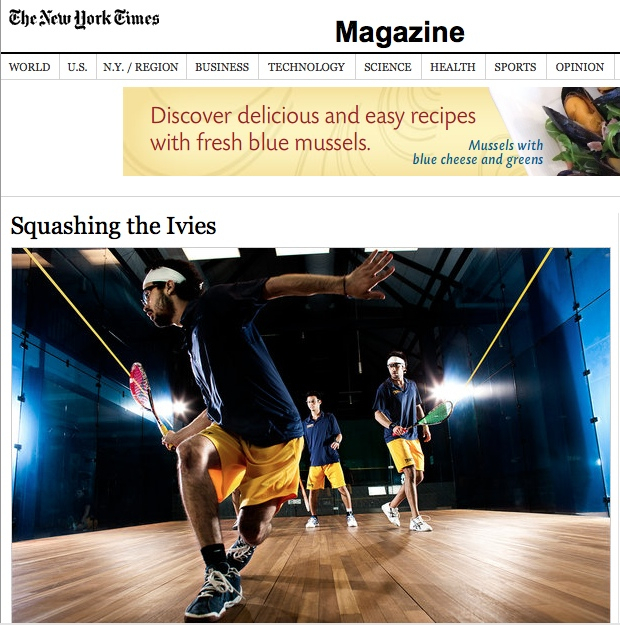 Most squash players with shoulder pain have had previous injury in other sports or perhaps are overloading the shoulder by suddenly increasing the volume of play, perhaps in conjunction with freestyle swimming cross-training or progressing too quickly with the bench and military press in the weight room (activities not that useful for squash anyway). The above links can be a useful guide for coaches of those squash players experiencing shoulder pain, but as always Exos offers very useful information and exercises for the shoulder area with their concept of Prehabilitation. Here are two current handouts for a) rotator cuff (use while shoulder is stiff/painful) Rehab_Shoulder_5; and b) shoulder exercise routine labelled “Thrower’s Ten” for strengthening once pain is absent Throwers-Ten. I was chatting yesterday with my Exercise & Sport Studies Department colleague Dr. Jim Johnson, who is himself just recovering from two shoulder surgeries. 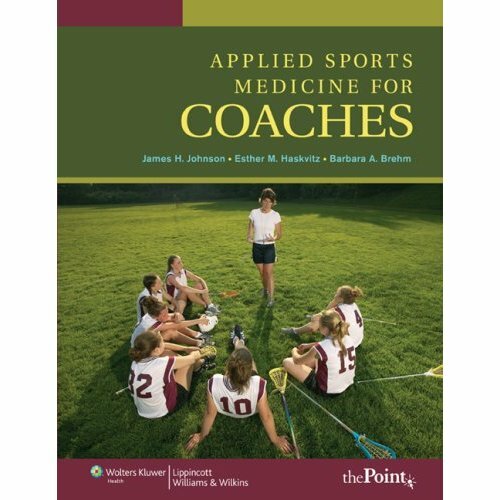 Jim and a few other Smith College peers have just published a great, practical book which is an excellent resource for squash coaches: Applied Sports Medicine for Coaches. I have had persistent shoulder pain myself, mostly after playing tennis, despite conscientious Core Performance training on the area. Jim recommended I get an x-ray to rule out bone spurs. Seeing a medical doctor is great advice for anyone whose shoulder pain continues despite rest, stretching and strengthening. Three Absolutely Useless Strength Exercises for Squash! We have blogged about appropriate physical training for squash before – both for juniors and adults. Just to punctuate the point, here is a video demonstrating three not so good strength training exercises, along with a brief review of the three Core Performance books and other product offerings. In my travels I am still observing a bit too much old-style training for racquets sports. I think part of the problem is that most of the NSCA’s Certified Strength & Conditioning Specialists (I am one myself) prescribing strength programs for the racquet sports have a football or basketball background. Despite being up to date on the latest functional training and the demands of sports like squash, they cannot get their heads around leaving out exercises that have been a key part of all strength programs. Coaching is an Academic Discipline! 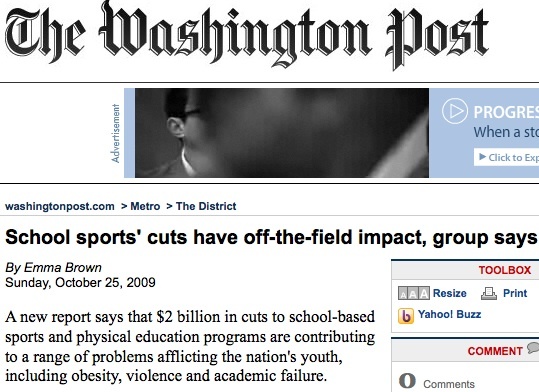 When I joined the Department of Exercise & Sport Studies at Smith College in 1998, Coaching was not seen as its own academic discipline – or even sub-discipline. Smith College awards an MSc. in Exercise & Sport Studies, which is in reality a Master’s in Coaching since all of the course work is oriented towards preparing students to work as coaches (mostly in a University setting). At that time you could obtain a degree in coaching, although the study of coaching itself was not a feature of that education. My own graduate degree is an M.A. in Physical Education (specializing in Coaching & Sport Psychology) which I received from the University of Western Ontario in 1987 – which in addition to being the top squash program in Canada (and often the U.S.), was at the time the only “A” rated graduate coaching program in North America. I played on the team, replaced head Coach Jack Fairs for his one-semester sabbatical, and acted as his assistant for the remainder of the year. This combination of practical experience and formal education was ideal – within a year of graduating I was coaching, consulting, and writing coaching education materials for three of Canada’s National Team Programs: Squash, Tennis and Racquetball, and the Coaching Association of Canada. Journal of Coaching Education. The Journal of Coaching Education is a professional, peer-reviewed, electronic journal that provides a forum for coaching education professionals addressing current coaching topics through research-based articles. Issues covered in this unique journal include coaching pedagogy, strength and conditioning, tactics, philosophy, psychology, sociology, and management. 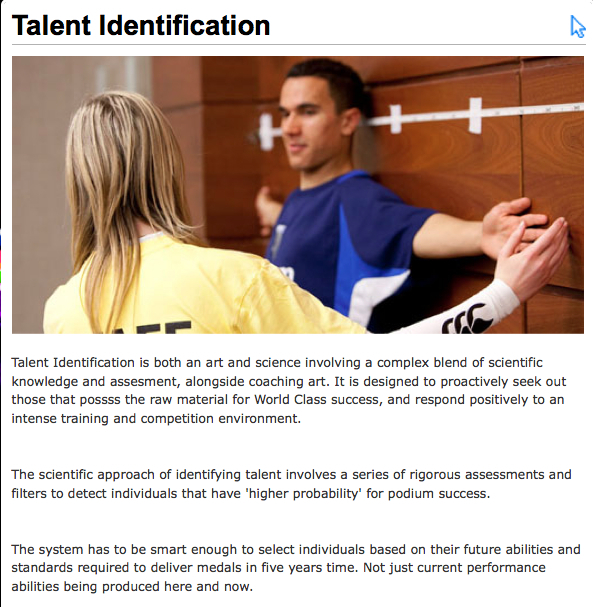 The International Journal of Sports Science & Coaching. The International Journal of Sports Science & Coaching is a peer-reviewed, international, academic/professional journal, which aims to bridge the gap between coaching and sports science. International Journal of Coaching Science. The journal publishes original theoretical or empirical papers, and research articles may be either qualitative or quantitative in nature. Topics may comprise any of a wide variety of ﬁ elds relevant to coaching, including psychology, pedagogy, management, sociology, biomechanics, and physiology. The journal encourages the integration of research and practice in the ﬁeld, and published manuscripts must discuss the applied nature of the research to the ﬁeld of coaching. 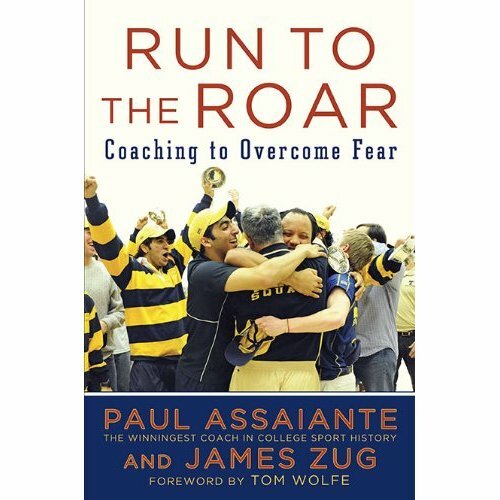 What experiences are needed to become a high-performance coach? The present study addressed this question through structured retrospective quantitative interviews with 10 team-and 9 individual-sport coaches at the Canadian interuniversity-sport level. Minimum amounts of certain experiences were deemed necessary but not sufficient to become a high-performance coach (e.g., playing the sport they now coach and interaction with a mentor coach for all coaches, leadership opportunities as athletes for team-sport coaches only). Although coaches reported varying amounts of these necessary experiences, general stages of high-performance coach development were traced. Findings serve to identify and support potential high-performance coaches and increase the effectiveness of formal coaching-education programs. The implications for squash coaches and those that administer programs related to squash coaching (National Sport Organizations, Athletic Directors) is that being an effective squash coach in not a simplistic process (i.e., if you are a good player you can coach). Becoming a good coach involves a variety of fairly sophisticated concepts and processes: playing experience, actual coaching and instruction experience, formal education, coaching certification, networking (e.g., coaching conferences) and support from fellow coaches and mentors.